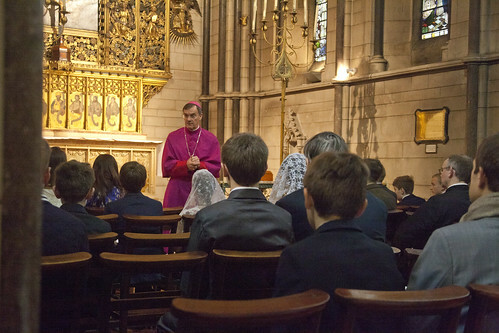 Bishop Arnold addresses the confirmands before the ceremony. 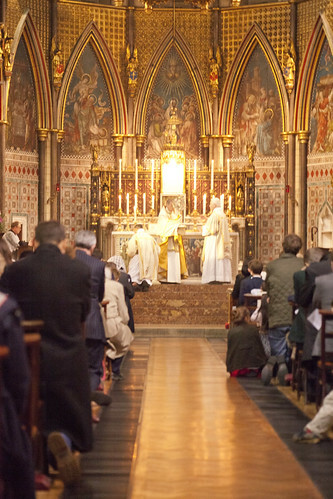 Last Saturday the annual confirmations organised by the Latin Mass Society and the Archdiocese of Westminster took place. 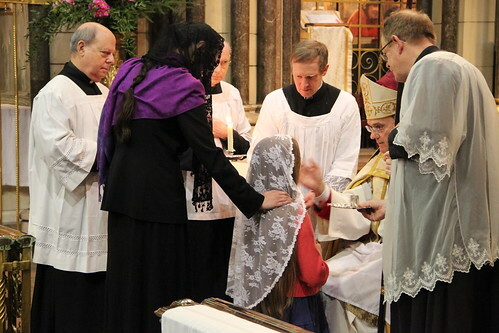 These provide for children and adults from all over England and Wales, and beyond, who would like to be confirmed in the Extraordinary Form. 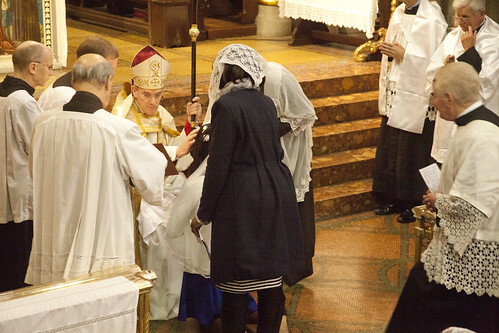 Confirmation is given by one of the auxiliary bishops of the Archdiocese: we have had Archbishop Stack of Cardiff, Archbishop Longley of Birmingham, and Bishop Hopes of East Anglia, when they were in the Archdiocese of Westminster, and this year we had Bishop John Arnold, soon to be Bishop of Salford. This is the first time one of my own children has been confirmed here; it won't be the last. 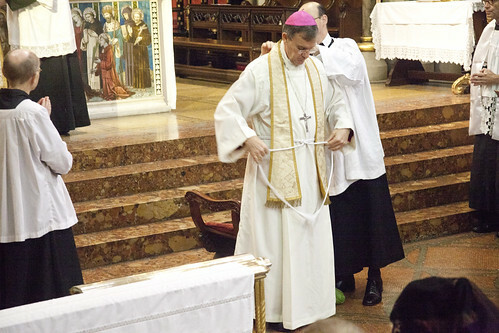 exercises a ministry proper to Bishops (at least in the Latin Rite). 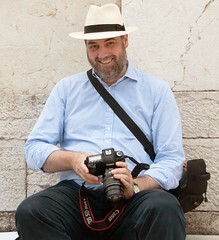 Smack! After anointing them on the forehead, he gives the confirmand a symbolic blow on the cheek. This very rich symbol isn't found in the Novus Ordo ceremony. The singing, from the regular Spanish Place choir, was excellent. The service of confirmation was followed by Benediction of the Blessed Sacrament. 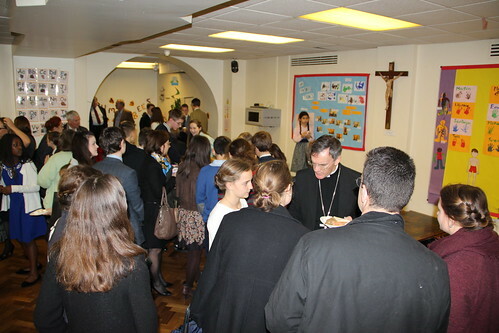 And a little reception downstairs in the parish centre. I was taking photographs mostly from the pulpit (here); for the confirmations themselves, Mike Lord had a better angle and his photos can be seen here (and also here).